The class of the field. 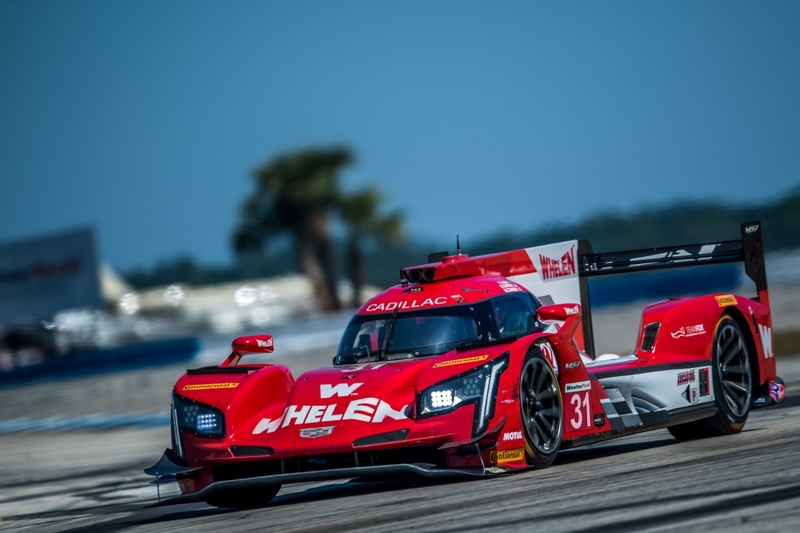 The 2019 12 Hours of Sebring brought out some of the best in drivers in the world and among the stand out performances were former instructors and graduates of Skip Barber Racing Schools. From the top of the podium where Eric Curran and his teammates celebrated their dominant performance in the Cadillac DPi to Jordan Taylor, John Edwards, Jonathan Bomarito, Ricky Taylor and a dozen other Skip Barber Racing School alumni the 12 hour endurance race was like a school reunion. There’s still time to sign up for one day, three day or two day advanced Skip Barber Racing Schools at Sebring International Raceway in April. This is the school that grooms champions with world-class instructors, finely prepared racing Mustangs and the depth of instruction and coaching that encourages champions. Andy Lally and Spencer Pompelly teamed up with John Potter to blast to a second place finish in their Lamborghini Huracan GT3 while Helio Castroneves and Juan Pablo Montoya drove brilliantly at the IMSA WeatherTech SportsCar Challenge. Skip Barber Racing School graduates, all. How about you? Want to learn to race like the champions? Then join us in April . Take your pick. Set your line. Drive with the champions!